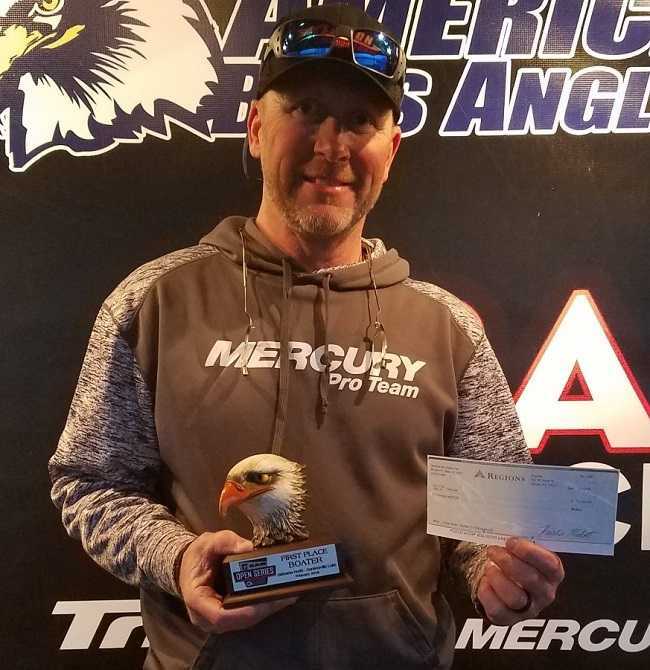 Greg Lamb of Birchwood, TN won the American Bass Anglers Open Series Alabama North tournament held February 3rd on Lake Guntersville. Running out of t Goose Pond in Scottsboro, AL, Lamb caught five bass weighing 24.09 pounds including a nice 6.43 pound bass. For the Boater Division victory, Lamb took home a check for $5000. “We caught most of our fish today on chatterbait, surprisingly pretty shallow with the cold front and everything we’ve had going. Probably caught about 20 keepers. My co-angler had a good day. He probably caught about 10 keepers. I practiced quite a bit but I hadn’t caught any good fish so today it was a little bit different, we caught all good fish.” Lamb said. 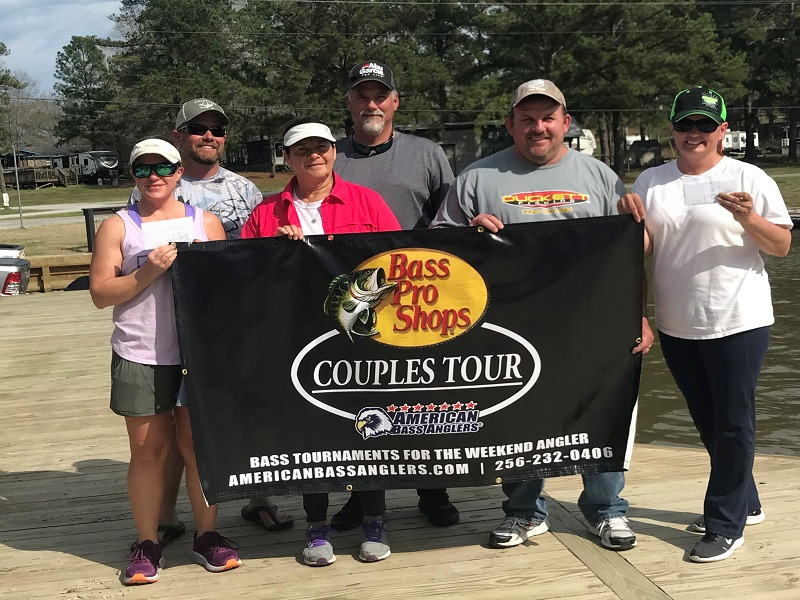 In second place for the boaters, Jeff Ragsdale of Gardendale, AL landed a five-bass limit bringing in 20.03 pounds including a 6.97 pound kicker. He collected $1400 for second place and an additional $670 for the Big Bass. “Caught them on a rattletrap all day long. We caught a couple early then it was just all day. Biggest fish came about one o’clock. It was slow. Had nine bites, lost one fish, and culled one time.” Ragsdale said. Jim Leary of Guntersville, AL took third place for the boaters with five fish that weighed 18.91 pounds including a 6.32 pound bass. He earned $950 for his catch. “Caught them all on a trap. They weren’t eating what I found them on but we made them bite. Caught the two big ones early then caught the remaining ones the last two hours of the day.” Leary said. Finishing fourth, Thomas Henshaw of Ft. Oglethorpe, GA landed a five-bass limit for 18.82 pounds. Marvin McCullough of Rome GA rounded out the top five boaters with five bass that weighed 17.10 topped by a 4.81 pound kicker. 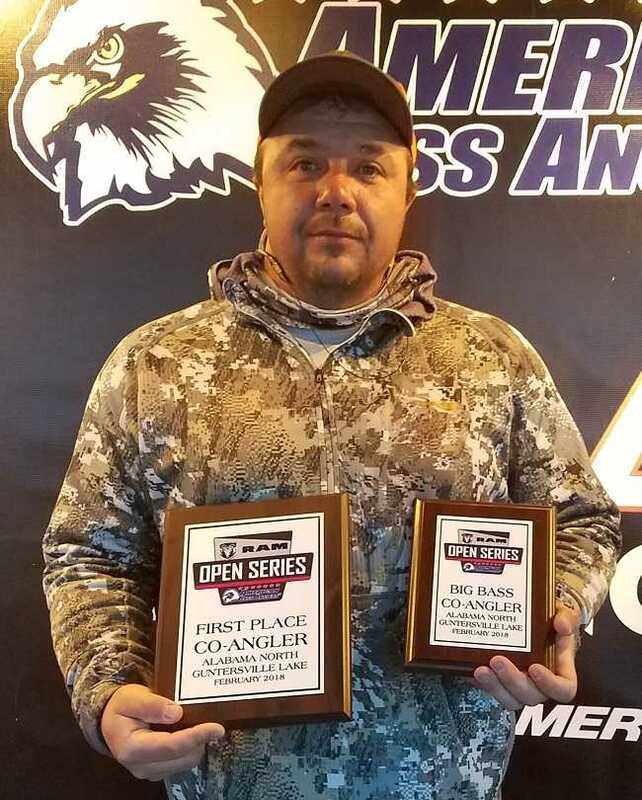 In the Co-Angler Division, Michael Jones of Rome, GA won with three bass weighing 14.13 pounds including a 6.13 pound kicker earning him Co-Angler Big Bass of the tournament. He earned $1700 for his win and an additional $290 for the Big Bass. “We pretty much targeted grass with the chatter-baits and stuff. I had a real great boater who kept us around fish all day.” Said Jones. Taking second place for the co-anglers, Jason Workman of Pell City, AL brought in a three-bass division limit weighing 9.86 pounds. He collected $650 for his catch. “I was throwing a trap in the grass all day.” Workman said. Ed Voegele of Cullman, AL placed third among the co-anglers with three bass that weighed 9.68 with one in his bag weighing 4.66 pounds. He earned $450 for his catch. An Xcalibur One Knocker was the preferred bait for Voegele. “Through the day it was slow, one here and one there. We picked them up out of the grass when we could find a good one.” Voegele said. In fourth place among the co-anglers, Tom Barday of Leesburg, AL brought in three fish that weighed 9.41 pounds. Carter Woodall of Summerville, GA rounded out the top five co-anglers in fifth place with three fish weighing 9.26 pounds. Slated for March 17th, the next tournament will be held on Lake Wheeler out of Joe Wheeler State Park. 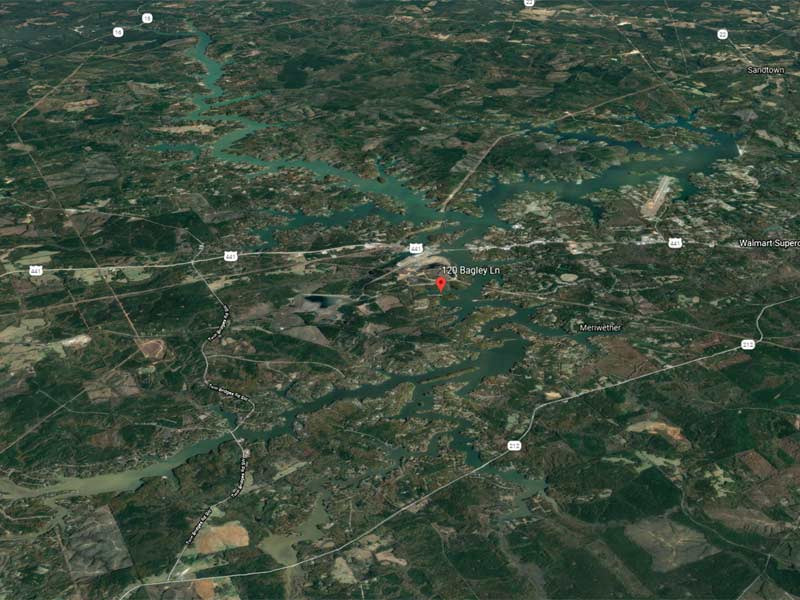 At the end of the season, the best anglers from across the nation advance to the 2019 Ray Scott Championship at the Walter F. George Lake (Lake Eufaula).